After taking a myriad of breathtaking and irreplaceable pictures and videos and coming home, I found none of them were present on the card. Instead, a LOST.DIR with about 2GB of data. The defect described here, which until now only needed a reboot to get fixed, has now progressed into something that I don't think I'll be able to recover from. Needless to say, this is highly upsetting - these pictures are not replaceable. If anyone has any tips on restoring data from a corrupted SD card, please let me know. Update 6/1/2010: According to a respectable member of Android Forums, Bek, who got in touch with Sprint Advanced Tech Support, the batch of EVO 4Gs distributed at Google I/O is the same as production units that are about to be shipped. Here's the link to the post where he mentions that. If true, this means thousands of consumers are about to be very, very unhappy, and if you see my last update above, will likely eventually lose their data. I've been using the EVO since Google handed it out at Google I/O last week, and it's been nothing short of amazing (unlike what MG Siegler, aka Apple fanboy, seems to think), except for a one little thing. 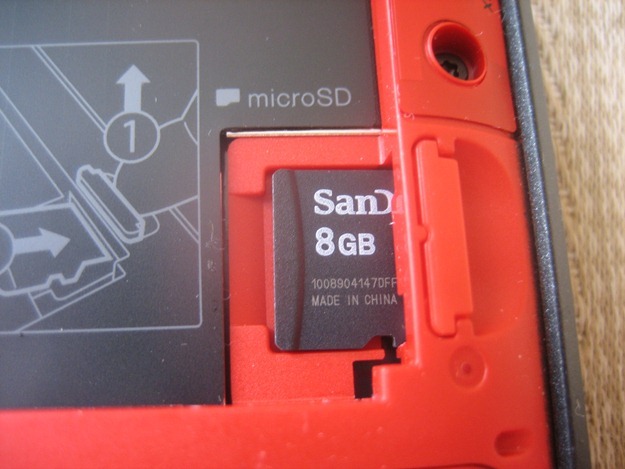 Actually, a big thing - the 8GB microSD card that the device ships with seemingly randomly stops working and appears corrupt/empty/messed up - I'm not even sure how to describe it best. A reboot fixes the problem temporarily, until it happens again. It started occurring on day 2 and has reoccurred almost every day as I've been heavily testing and using the phone as a camera, camcorder, browser, and other features. The camera app starts complaining that it can't save pictures due to bad permissions, specifically: "Unable to save file to SD card due to insufficient file permissions". TuneWiki, a music app, goes crazy and almost freezes the phone while trying to play the playlist that is loaded into its memory but failing at accessing the card. The gallery app sees no pictures. The ASTRO app shows a mix of empty and unavailable dirs in a state I'd never seen before. It could be just me with a defective SD card, right? I was thinking that too but then I remembered seeing a few tweets describing similar problems by @NeilLund right after I/O and asked him for more details. Apparently, he has been experiencing the same problem. Yesterday, I started a thread at AndroidForums that has so far generated over 40 replies with users reporting seeing the same issue. The final straw came today in MG Siegler's post comparing EVO 4G to the iPhone, in which the camera app got major points taken away for not working consistently and showing the same "Unable to save file to SD card due to insufficient file permissions" message I've seen before. While no actual corruption has occurred in my case yet, chances are you may lose your data, like in this case, unless the bug is fixed. Without further ado, I am posting this to bring Google's, Sprint's, and HTC's attention to the matter as well as gather some feedback from those of you who were also affected (please comment on your experience). Opinions on the root cause are currently split. Some users think software is to blame, while others cite bad SD cards (that's a whole lot of bad cards - perhaps a defective batch?) or faulty card seating mechanism (which is, admittedly, really weird). Some users tried other cards and saw the same problem reoccur, which indicates that the original cards might not actually be defective. Attempts to reseat the SD card or even tape it so it sits closer to the phone also went on the fail list. Or perhaps software is to blame? It is possible that a software error somehow leaves the card in a bad state after a certain series of events, which would explain why a reboot or remount fixes it without physical intervention. 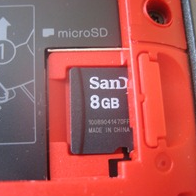 Those of you looking for a new microSD card for your EVO, whether to upgrade from the slower 8GB or to replace the faulty 8GB ones, if they indeed will end up being the problem, may want to read our review and benchmarks of the 16GB Class 6 A-Data card which offers the best value for the money, in my opinion. Whatever the root cause is, I hope Google, HTC, and Sprint will jump on this before it's too late and the EVO 4G is released, aka June 4th. And for their own sake, I also hope it's a software problem fixable via an OTA update - otherwise they are about to have a whole lot of unhappy customers on their hands. Any EVO 4G owners with this problem? Report your experiences in the comments.